First I have to say that the new Festival of Fantasy Parade at Magic Kingdom is fantastic! Seriously, just a beautiful fun parade and I am so glad we made time to see it. 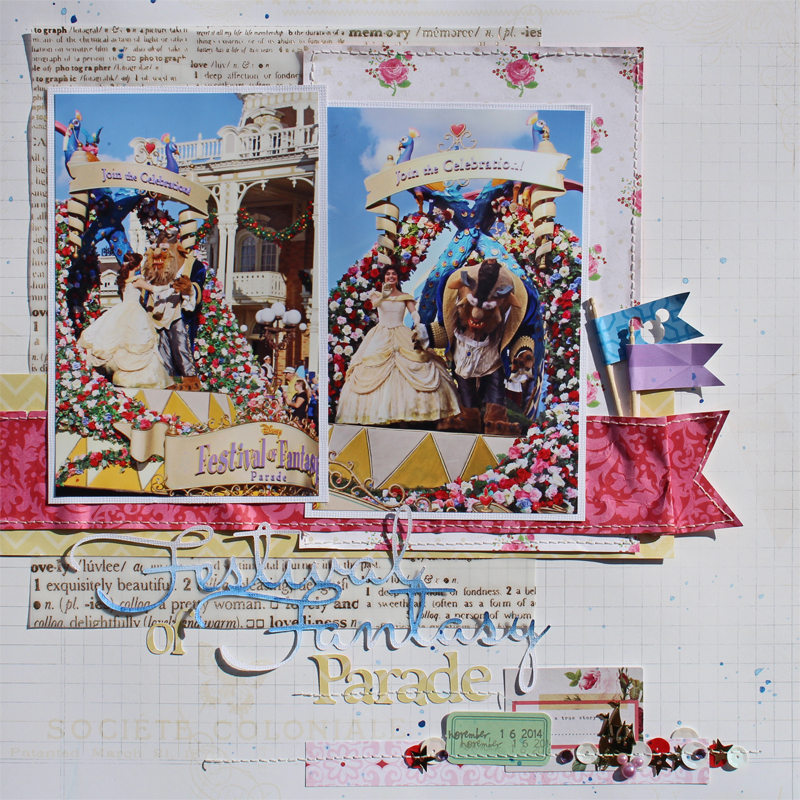 These photos are the beginning of the parade and I did this page for a color challenge using a red, white, pink, lavender, and yellow. These are pretty tricky colors for me so I added a blue and even a tag that is green. 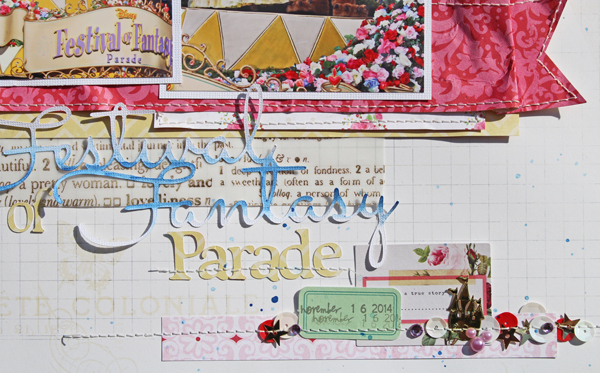 I have to tell you guys that I was not at all happy with my layout and my title started out just white. After I finished the page I felt like it needed a more colorful title so I added some blue watercolor to the title using a small paint brush and Twinkling H2O paints. I still feel like this page got away from me a little but I like the water color gradient title so I will probably give it a go again. The little castle confetti piece is from confetti that was included in our "in room Celebration" from the Disney World Florist, so of course I kept the confetti for scrapbooking.